Happy Wednesday. This weeks Wisdom Wednesday I saw a few years ago on Facebook. The message from the interview always struck a chord with me as a student of acting and improv. When you step into the shoes of a character and get to know that character you are never the same. To become a character and not a caricature, an actor cannot judge the character they are playing. A character is judged that character has less of a chance to be fully developed and seen. Actor studies the script closely to see how the character is written through the characters actions and dialogue, it informs the emotional life or subtext of the character. The actions and dialogue paired with the actors imagination, builds a back story that answers the questions of why the character acts and speaks in a particular way. Over the course of studying a character, an actor will naturally start to see the ways they are the same and different from the character that they are playing. In some cases, the character’s life informs the actor on areas of future personal growth. For example if a character is more outspoken, but the actor tends to be shy it could lead an actor to be more bold and speak up more in the future. Playing a care-free character when an actor is closed off, it can prompt the actor to explore ways to be more open. 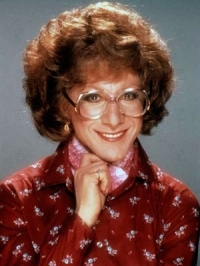 This weeks wisdom comes as a result of an actor Dustin Hoffman stepping into the shoes of Dorothy Michaels from Tootsie.